Two western Japan airports are set to accommodate flights that nearby Kansai International Airport cannot cater for after the main international gateway to the region was flooded in a powerful typhoon earlier this month, local officials said Wednesday. Itami airport straddling Osaka and Hyogo prefectures and Kobe airport in Hyogo are expected to raise the number of flights they host by 40 and 30, respectively, including international flights, according to the officials. While one of the two terminals at Kansai airport was left unscathed by the typhoon, only about 20 percent of flights have resumed at the airport, which was used by around 80,000 passengers a day on average before the disaster. In fiscal 2017, Kansai airport daily accommodated 515 domestic and international flights on average, with most using the terminal that was damaged by the typhoon. 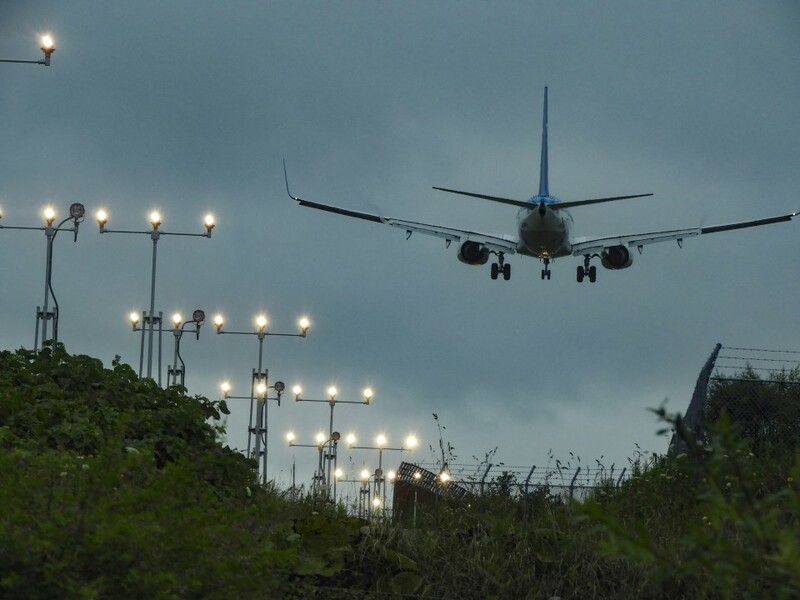 The transport ministry had earlier requested Kobe and a council of 10 other cities near Itami airport to shoulder up to 40 flights a day until Kansai airport is able to fully resume its services. The ministry also asked that Itami airport's current operation hours from 7 a.m. to 9 p.m. be extended, but this was rejected due to concerns about noise. However officials said the airport would stay open late in case of delays, the officials said. Typhoon Jebi, which made a landfall in western Japan on Sept. 4, flooded a runway and a terminal building at Kansai airport, and the only bridge connecting the facility on a manmade island with Japan's main island was damaged after a tanker crashed into it amid strong wind and high waves. 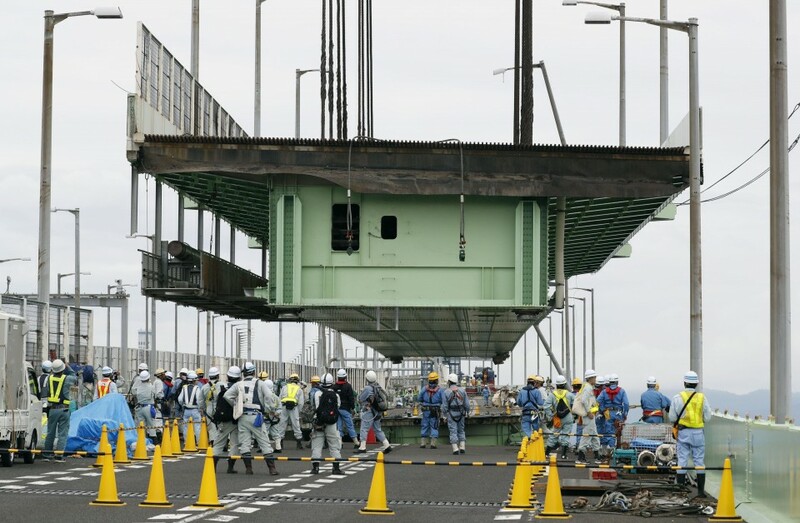 On the same day, West Nippon Expressway Co. began work to remove the damaged bridge beam, some 188 meters in length and 2,000 tons in weight, using a large crane barge. The 2,591-ton Houn Maru was swept away in the typhoon and smashed into the south side of the bridge, damaging the road and railway tracks on the bridge. The railway is expected to resume service within this month. Kansai airport has attracted a growing number of foreign passengers in recent years, particularly those from China, South Korea and Southeast Asian countries, as it has been expanded for budget airlines.